See a side of Kiev most tourists—and many residents—miss with this tour of the city underground. 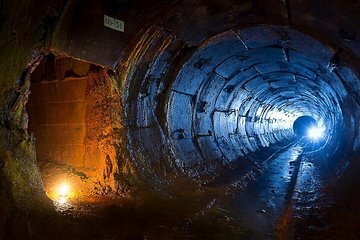 It’s a different kind of urban exploration that takes you through tunnels, underground rivers, drainage systems, and abandoned Cold War bunkers. You’ll also see one of Kiev’s largest underground waterfalls and walk through a tunnel in complete darkness.